Michael Colon walks the weeded path that used to lead to his farm of over 20 years. Hurricane Maria turned it upside down. “After Maria the place become like this,” Colon said. Colon lost not only his farm, but his car. It left him without an income and without a way to get around the island. 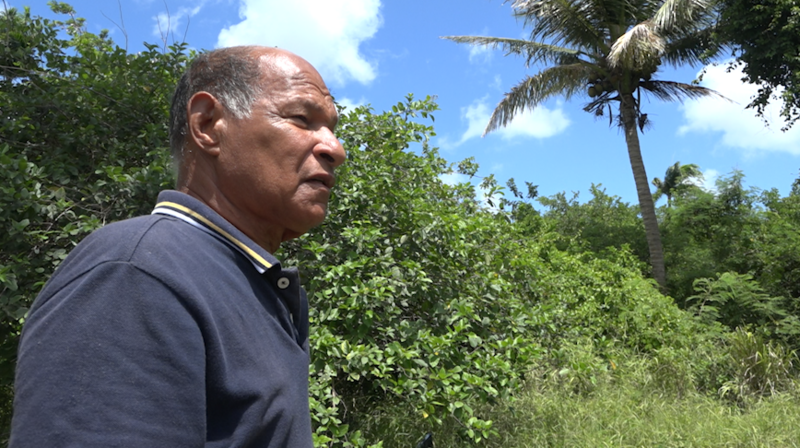 Colon told USVI News Correspondent Kellie Meyer that he has to leave the island because he’s not getting the help to get his farm back up and running. You can see how deeply he cares for the place that used to be his farm and the island of St. Croix as he shows other farms that have met the same fate. Colon said he tried asking the government for help. But feels his only option is to leave the place he calls home. Uprooting his life, just as his farm was by the wrath of Maria.